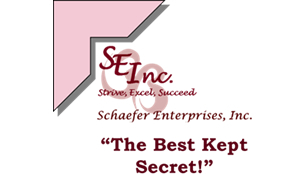 Schaefer operates several businesses in an effort to assist the people we serve in finding employment. Even though our primary purpose is to help our consumers become competitively employed and increase their productivity, we also want to provide an excellent service at an excellent price to all of our continuing and new customers. We depend on businesses and homeowners throughout Northern Colorado to help us meet our mission as well as increase our income. Because we are a non-profit, all of the money we make from the operation of these businesses is put to use improving the quality of the services we provide to our consumers. 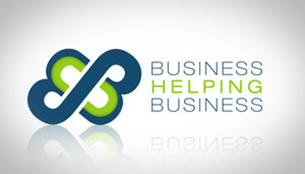 Our businesses provide valuable services to all Weld County residential and business owners. We have been dubbed “The Best Kept Secret”, because the community is not aware of the WIDE-VARIETY of services that we can provide! When you use Schaefer’s services, not only will you receive a quality product, but you will also see cost savings in the price you pay for those services. When you use one or all of our businesses, you also help us by providing more jobs and income for the people with disABILITIES that we serve. They enjoy the work and do an excellent job once trained. • Increase production storage capacity for 20,000 sq. ft.
Schaefer's multi-faceted operation allows us to partner with local businesses to provide cost-effective solutions to many business concerns. We are happy to be able to offer these services, both to the businesses and to our individual clientele who facilitate it. High quality control, guaranteed work and on-time delivery are the standard at Schaefer. But don't take our word for it. Visit our testimonials page to see what some of our business partners have to say about us. Contact us today to see how we can help you streamline your business. You will be glad you did. Read all about our business operations here!